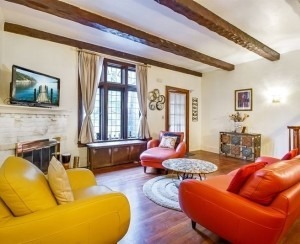 In the era of StreetEasy.com--where every listing and, in many cases, price history is available for easy and obsessive perusal---lots of buyers choose not to work with their own broker, preferring instead to cut deals directly with the seller's broker. Whether that's the right decision for you depends largely on your familiarity with the NYC market and neighborhoods, whether you have found a knowledgeable agent willing to devote the amount of time and energy you desire, and how much you trust (or distrust) the seller’s broker to defend your interests at the same time he or she is representing the buyer. If you do work with an agent, don’t mention the 15 others you’ve worked with in the past six months, and don’t lie about your financial qualifications. If you sign in without a broker at an open house, you can still bring your own broker into the deal, at any time, no matter what the seller’s broker says about that. On the other hand, be fair: Don’t want until the very last minute after the seller’s agent has worked hard to help you and would reasonably expect the commission. It’s a rookie mistake to fall in love with an apartment and rationalize the neighborhood. Similarly, the building as a whole--and its implications for your quality of life and the financial health of your investment--is the elephant in the room of any apartment purchase. Some important questions: Are there major capital improvements coming up? What’s the sublet policy and associated fees? If there’s a commercial tenant—or the prospect of one—will it be a nuisance, or a drag on property values? If there’s a tax abatement in place, do you have a realistic understanding of what your taxes will be when the abatement wears off—one that takes into account future increases in tax rates and assessed value? To maximize your investment, you might want to look for a building that is undervalued, like a place with low (but addressable) curb appeal or one that's situated next to a temporary nuisance like a construction site. Similarly, co-op maintenance increases resulting from property tax hikes can scare away competition (enhancing your bargaining power) even though the building may be a good long term investment, as the maintenance fees of other co-ops eventually catch up. You may also want to keep an eye out for a co-op with a commercial tenant whose decades-old, below-market lease is going to expire within a few years. On the quality of life front, is the transition from heat to a/c centrally controlled, and if so, when is the switch each year (i.e., how long will you shiver or sweat through the shoulder season)? Are there enough elevators for the number of residents? Do you have to go down to the lobby to get food deliveries? Are the amenities pay-to-play? If you’re considering an emerging neighborhood, have you checked SeamlessWeb to see if enough restaurants deliver to suit your tastes? Has the building had bed bugs, how bad was it, and did the board handle it properly? Also, if you’re buying a co-op, make sure to have your attorney thoroughly review the minutes for references to problem neighbors and nuisances (hoarders, secondhand smoke, noise complaints, etc). Also consider whether the building matches your personality. Tipoffs of a relaxed co-op board, for instance, are policies allowing allow pets, pied a terres, parties on the roof, flexible subletting, and parents to purchase or act as guarantors for their kids. If you have a big ‘wet over dry’ renovation in mind, look into whether the building allows it. Ask the board and the managing agent in writing, look at the alteration agreement, and check out other residents’ renovation filings on the D.O.B. website. Be aware of some common trouble spots in buildings, such as apartments that are directly below the roof or setback terrace, too near elevator or compactor shafts, on the lobby level (especially above the boiler room or garage), near an upper-floor mechanical room or along an exterior airshaft. Also, if you’re thinking of buying an apartment on an extremely high floor, be aware of some drawbacks, including a surprising amount of noise, wind-sheared outdoor space, the inability to “window dress” according to what people on the sidewalk are wearing, and the fact that your dog may not be able to keep his business to himself on the long ride down. Check the status of your windows to make sure none are lot line, and make sure a Certificate of Completion was issued for any renovations done on the apartment. Ask about the apartment’s bed bug history and whenever possible, send your bed bug inspector in before the sellers move out and the bugs disappear into the walls. Know that virtually all new buildings suffer from construction defects, and there’s a better-than-even likelihood that at least some of the money to fix things will come out of your pocket. So don’t pour all of your money into your down payment—be sure you leave yourself a cushion. The most common construction defects include exterior leaks, defective windows and floors, AWOL fire proofing, bad ventilation, problems with heatings and cooling systems, and substitutions of inferior materials that don’t match what was promised in the offering plan. Remember that renderings frequently do not match reality–nor do they have to, as the offering plan spells out the full extent of the developer’s obligations. Some questions to ask: Is that the actual view or a photoshopped one? Is there really a fireplace? Are the marble countertop and the moldings standard or upgraded? 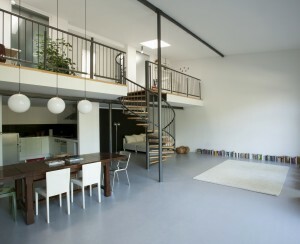 Is the ceiling height deceptive because of that low-slung modern furniture? Are the under-window PTAC units missing from the renderings? Is that Olympic sized swimming pool for real—or is it a 2-lane lap pool, according to the offering plan? 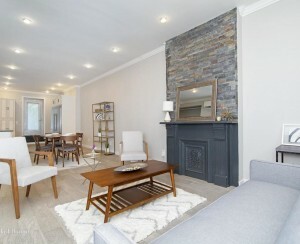 Some desirable features inside your prospective apartment include the ability to control your own a/c and heat, so that you can run the a/c in a March heat wave, or the heat in a September cold-snap; an outside-vented range hood and washer dryer; and cable and electric outlets in the right place—for example, high enough in the wall opposite the bed to accommodate your flat screen tv. Though it’s a controversial practice, some co-op boards will reject you if the purchase price is too low. However, there are ways around this such as seller concessions, credits, decorator’s escrows and renovation allowances. A “dog-friendly” co-op doesn’t necessarily mean it’s friendly to your dog. Try to avoid a canine interview, if possible, by assembling letters of recommendation and supplying proof of good citizenship. You may need to invest in some training beforehand, and some serious grooming is a good idea too. As for your board interview (dog or no dog), remember that the vast majority of turndowns occur before, so chances are strongly in your favor that this will simply be an awkward half hour or so rather than a deal breaker. Dress professionally, don’t volunteer anything, stay away from controversial subjects, don’t talk about your renovation plans, and rehearse with your partner and your broker the answers to any potentially difficult questions arising out of your personal situation. Read through BrickUnderground's My Big Fat Board Interview series for first-hand accounts of actual interviews to get a sense of the questions you might hear and the dynamics you may face. Haven't had enough yet? 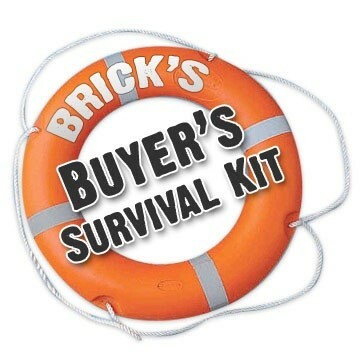 Check out our entire Buyer's Survival Kit here. Or suggest future posts here.